*ONLY 7,700 Miles! Two Owner! Immaculate In Every Aspect! *100% BONE STOCK! NO UPGRADES! *This is The ONE! *As Original As It Gets! Literally Still Smells Brand New! *NONE Cleaner For Sale! Guaranteed Future Asset! *ALWAYS GARAGE KEPT! *NEVER ONCE IN ANY INCLIMATE WEATHER! *100% Collectors-Show Winning Concours Quality! 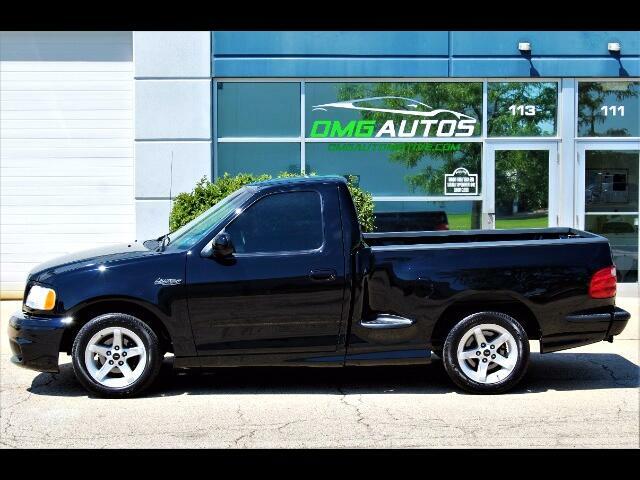 This is a 100% BONE STOCK/ALL ORIGINAL SVT Lightning-Hard To Find! *Literally A MUSEUM-Collectors Piece!-Impeccable Overall Condition! *Always MAINTAINED & Covered In a Heated Garage! *December-01-2001: The Intercooler & Windsheild Wiper Motor Recall Was Performed! *NEVER ONCE IN ANY INCLIMATE WEATHER! We Would Be Happy To Assist You With The Shipping Of Your New Vehicle Around The Globe !! * Or Please Email Us Anytime!